Marlys is a lifelong resident of Rankin County, graduated from Pearl High School and currently lives in Pearl. 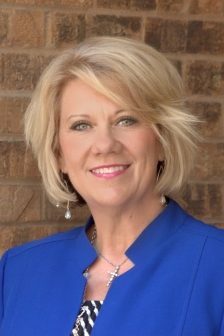 Prior to her career in real estate, Marlys has been employed as a paralegal with the Attorney General’s Office and the Madison County District Attorney’s Office. Also, she was provided the opportunity of preparing loan closings with a private law firm. Marlys previously served as Administrative Pastor at Jackson First, teaching leadership principles and developing leaders at every level within this organization. Marlys is married to Michael Myers, also a native of Pearl. They are proud parents of one grown daughter, a son-in-law and a son who attends Pearl High School. When Marlys is not assisting her clients, she enjoys time with her family, traveling and watching the Pearl Pirate High School Baseball Team play ball! Marlys’ family serves as volunteers with JDRF (Juvenile Diabetes Research Foundation) and participates in the annual JDRF Walk to Cure Diabetes. No matter where a person is in their phase of life, goal setting and goal achieving may be the most important factors. It is Marlys’ desire to help her clients develop and achieve their home ownership goals. She takes an interest in getting to know her clients and to clearly comprehend their hopes and dreams. A focused listener and able advisor with impeccable organizational skills. It is Marlys’ goal to market properties utilizing sound planning, professional ethics, negotiating skills and a strong company support system.